For an author of historical fiction, nothing is more gratifying or exciting than one of your characters returning to life or to the world today. Anyone who knows me, can tell you that I've been busy at work writing a novel about Queen Mechthild, the first queen of Germany in the 10th century. It is suspected that the tomb and bones of Eadgyth, the granddaugher of Alfred the Great and sister to King Athelstan, has recently been rediscovered in a grave in Magdeburg Germany, her remains intact. 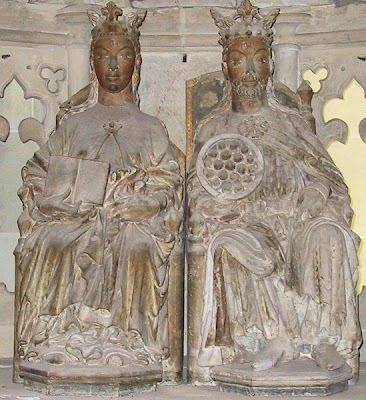 According to my research, she was indeed buried there, as was her husband, Otto the Great, son of Queen Mechthild and King Heinrich the Fowler. Authorities will be verifying her DNA. 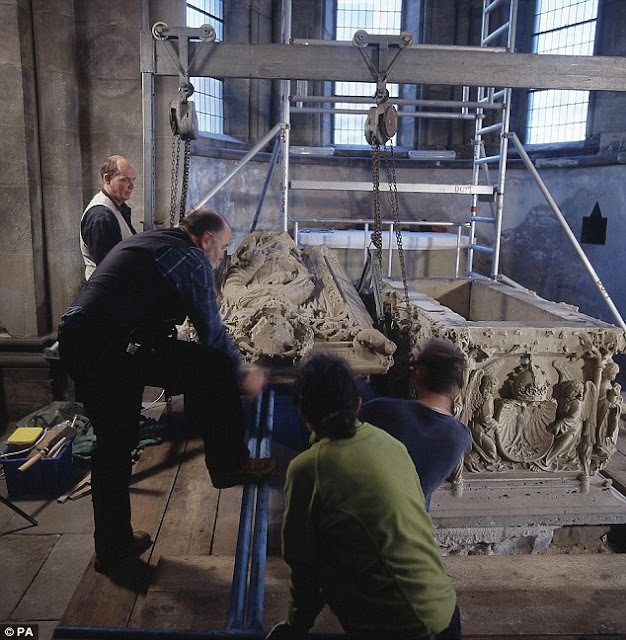 The discovery of the tomb was made during a wider research project into the cathedral in 2008 by a German team. 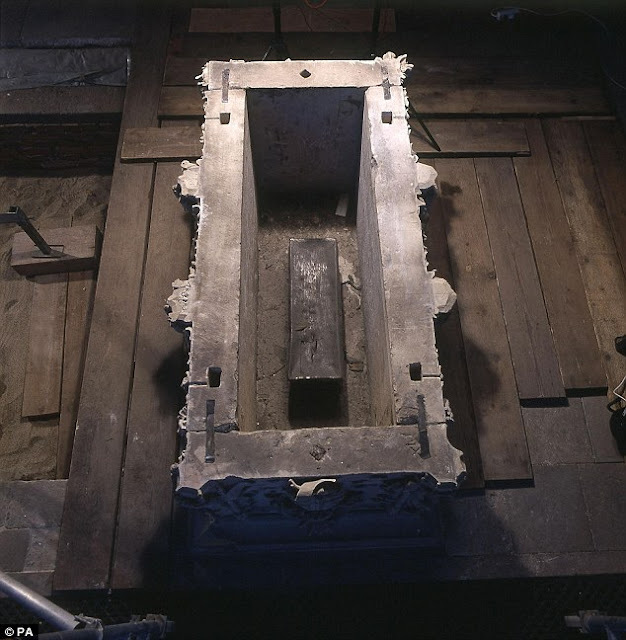 Researchers originally thought the tomb was a cenotaph, but when they removed the lid they discovered the lead coffin which bore her name, Queen Eadgyth, and accurately recorded the date - 1510 - when her remains were transferred there. The queen was known to have been buried initially in the Monastery of Mauritius in Magdeburg, and if bones were to be found, they would have been moved later to this tomb. The casket inside was made of lead. 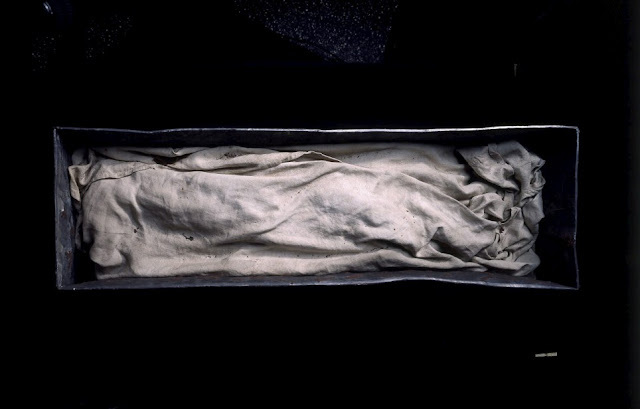 Her body was wrapped in silk and is believed to be 30 or 40 years old. This is consistent with the knowledge that she died at the age of 36. Here's the photo of them raising her body from the tomb. The bones have now been brought back to Eadgyth's native Wessex for scientific tests to fully confirm her identity. And thus, after more than a thousand years, the granddaughter of Alfred the Great, sister of King Athelstan, and wife of Otto I the Great, has finally returned home to Wessex England. I read about this about a month back, and it sounded really, really exciting. The first thing I thought of, when I read this(aside from her being the granddaughter of King Alfred and the sister of King Athelstan), was your book on Mechtild. What a lucky find for you! Were then the DNA exams been made? Or has anything else been discovered?